MATCOR MMP™-Anode | Matcor, Inc. 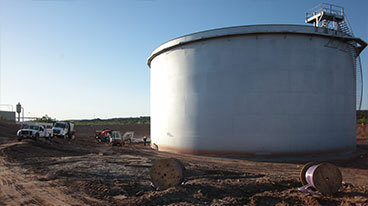 The MATCOR MMP-Anode is a prepackaged mixed metal oxide (MMO) impressed current anode for underground applications to protect and prevent corrosion on pipelines, storage tanks, and other buried structures. The MMP-Anode utilizes a certified grade titanium substrate with a dimensionally stable mixed metal oxide coating. The anode element is factory prepackaged with tightly compacted MATCOR high-grade carbon backfill in a heavy gauge steel canister that is robust yet lightweight. 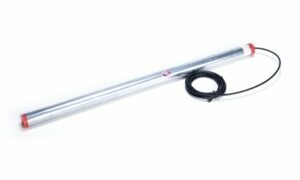 The anode to cable connection is the highly reliable MATCOR waterproof connection. The MATCOR MMP-Anode is available in 6 standard canister lengths and 3 diameters. Many other sizes are also available in lengths up to 20 feet. The standard lead cable is 10 feet (3.04M) of AWG No. 8 HMWPE. However, any length and type of cable is available, including: Kynar®, Halar®, PVC, EPR and XLPE. For even faster installations in soft or marshy soils, see the MATCOR Driving Cone Anode Impressed Current Anode Installation version of our MMP-Anodes. 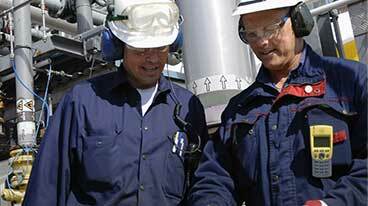 For deep anode systems, the MATCOR Durammo® Deep Anode System is the best system available.